Conor's Fancy Footwork Beats A GFCF Autism Diet! I don't know if peppers are part of an autism gfcf diet but Conor loves eating them and likes to show off some fancy footwork at the same time! The finish line at Dover International Speedway this Sunday will feature blue Autism Speaks puzzle pieces inside the white squares. Autism Speaks is beyond compare in its abillity to find new ways to promote autism awareness. Jonathon Howard will soon be in Fredericton. Jonathon is raising awareness of autism across Canada, and raising funds for children's charities supporting autism, by running across the country, beginning on March 25 when he dipped his toe in the waters at St. John's Newfoundland. 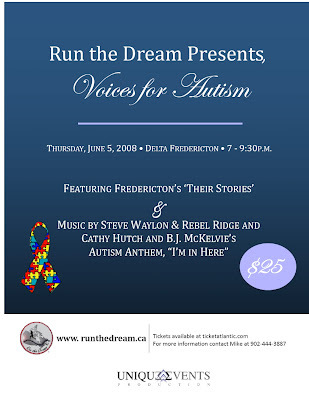 On June 5, 2008 from 7 to 9:30 he will be at the Delta Fredericton for an event which will feature "Their Stories", online video interviews of family members, caregivers, and persons with Autism Spectrum Disorders who share their personal stories of living with autism. Keynote speakers will include Brian Rimpilainen of Fredericton. Brian is the Autism Society New Brunswick representative with the Autism Society Canada and he has worked tirelessly toward development of a National Autism Strategy and inclusion of Autism in Medicare. 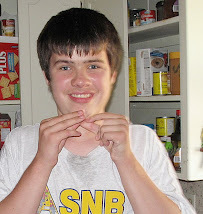 He will be running with Jonathon from Oromocto to Fredericton on June 2. The evening at the Delta Fredericton will be filled with music by Steve Waylon and Rebel Ridge, Cathy Hutch and BJ McKelvie. Cathy and BJ will be performing their autism song "I'm In Here". In New Brunswick we have accomplished much with hope - and with hard, focused, work. Our focus has been on ensuring that autistic children in New Brunswick receive evidence based interventions and education both preschool and during the school years. Much has been accomplished although much remains to be done. Adult care for persons with autism in New Brunswick is abysmal and requires a massive overhaul. 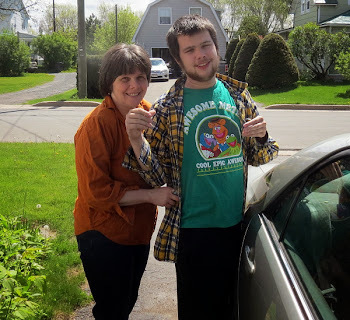 Efforts to provide decent residential care for autistic adults in New Brunswick will be successful only with hard, focused, work and determination. And with hope. Jonathon Howard's Run the Dream spreads the message of hope for persons with autism and those who love and care for them and hope is invaluable in fueling our efforts to make gains for autistic persons as preschoolers, students and adults. Although I was aware of Jonathon Howard's Run the Dream since he began in late March the impact of what he was doing to raise autism awareness in Canada did not hit me until I spoke at the Medicare for Autism NOW! event in Oakville, Ontario on April 19. I had the privilege of meeting Norah Whitney, president of FEAT Ontario and her son Luke. Luke is a very smart young man and I enjoyed talking with him. One of the first things Luke said to me was to ask if I knew Jonathon Howard. At the time I couldn't say that I did, although I knew about Run the Dream. After June 5 I should be able to give Luke a different answer. I urge everyone who can to attend the Run the Dream evening at the Delta Fredericton on June 5. Tickets are available at ticketatlantic.com. For more info contact Mike at 902‐444‐3887. Admission is $25 and will go towards children's charities that support autism. It should be a lot of fun and a good evening for autism. Plank has a point, but he also is a functioning member of society. A film and video major at George Mason University in Virginia, Plank speaks on neurodiversity at conferences. He has a girlfriend and friends. His interests include computers, writing and acting. 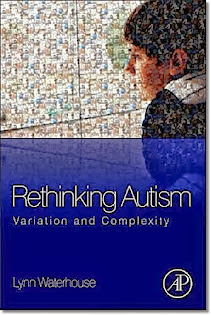 Autism, however, encompasses a range of individuals, from quirky, socially awkward geniuses to those such as Ben Royko, who is still not completely toilet trained at 14, has to live in a residential school setting, has very limited functional language and will never be able to live independently. It is rare for an article, column or blog, whether published in hard copy or online, to mention and describe a severely autistic person and the grim realities some of them face. Full marks to Ms Deardorff, the Chicago Tribune, and other sites which publish her blog for daring to consider and discuss the invisible autistics, the severely autistic, who do not get discussed by Neurodiversity bloggers at the "Autism" Hub and are not invited, and re-invited, to appear on CNN and other feel good, ratings driven, news sources. The Alleged Autism Rights Movement isn't much help for the severely autistic, the truly severely autistic, not the former students of colleges for gifted youths, but those, like my son Conor who wondered across a busy main street oblivious to the dangers of traffic; or those like the 10 year old severely autistic boy in North Carolina who was struck by a train and killed Saturday half an hour after police received a report he was missing from his home. 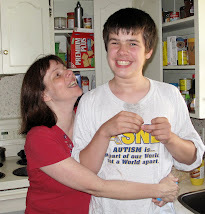 Severely autistic people like that poor North Carolina boy, like my son Conor, like the 50 year old autistic woman who could not communicate to tell the world she was being abused by staff in the residential care facility in which she lives in Long Island, are not likely to be posing for fashion photos in New York Magazine any time soon. The severely autistic people and the conditions they suffer with are not to be mentioned in polite company for fear that a realistic description of THEIR autism might offend those who pose in the New York Magazine, the internet divas and the former elf realm dwellers of the Alleged Autism Rights Movement. To the Alleged Autism Rights leaders if you want to pretend to speak on behalf of all persons with autism then start speaking about those with actual Autistic Disorder who do not share all your gifts and good fortunes. And stop trying to suppress and obscure candid discussion of THEIR autism, not YOUR's, which is so different. Autism Treatment and Autism Advocacy in Canada: God Bless America! Canada shares a border with the United States of America and we can not escape the influence of our giant neighbor and our American cousins. We absorb American news and popular culture every time we turn on our televisions. From American Idol to CSI Miami we get it all, every day. American political decisions, from war in Iraq to border crossing security changes, can have a dramatic impact on Canadians and we often follow their politics closely. Why is Hillary staying in? Does John McCain have the support of the Republican base? For Canada's autistic children, and their families who seek effective autism treatment for them, the United States and credible America autism authorities, have also had a huge influence. They have filled a vacuum by providing credible, well researched knowledge and information about the effectiveness of autism treatments. The American Academy of Pediatrics, the Maine Autism Task Force, the Office of the US Surgeon General, and state authorities in New York and California, have all played critically important roles in educating Canadian parents about the scientific, evidentiary basis in support of the efficacy of autism treatments particularly ABA. The input of these US authorities has helped many Canadian parents and autism advocates counter the often lacking and misleading information provided to them by Canadian bureaucrats and the anti-ABA biases of some influential members of the Montreal scientific community. With such credible sources providing reliable, substantiated, information parents and autism advocates in Canada have had the tools we needed to help educate public decision makers and to obtain evidence based, effective ABA intervention for our autistic children. A great deal remains to be done to provide effective help for autistic children, in Saskatchewan, Ontario, Nova Scotia, in every province and territory in Canada, but we do have the tools to help us, courtesy of our American neighbors. With the guidance they have provided, and with our own will and determination, we can succeed in our struggle to help our autistic children. A Questionable Autism Partnership, Has Autism Speaks Sold Its Voice? Autism Speaks has made tremendous contributions in raising autism awareness to a world level including helping to establish the first annual World Autism Awareness Day, April 2 by UN General Assembly Resolution. It's promotion of autism research has been a significant factor in spurring an Autism Knowledge Revolution. It has used the first class media savvy and connections of Bob and Suzanne Wright to help inform and educate citizens and public authorities around the world. I have been an admirer of Autism Speaks. My Camry even sports a blue Autism Speaks magnetic puzzle piece. But now comes news of a partnership between Autism Speaks and Nutricia North America, a company which produces hypoallergenic medical foods. "Under the partnership, Nutricia will sponsor 26 Walk Now for Autism events nationwide. The grassroots program is a signature fundraising for Autism Speaks". For me this raises questions and causes me to ask - has Autism Speaks sold its voice? Although use of the gluten-free/casein-free diet for children with ASDs is popular, there is little evidence to support or refute this intervention. More studies are in progress, and it is anticipated that these studies will provide substantially more useful information regarding the efficacy of the gluten-free/casein-free diet. Studies may eventually provide the evidence to support the claims of effectiveness of gluten-free/casein free diets but those studies should be as independent and objective as possible if they are to be persuasive. 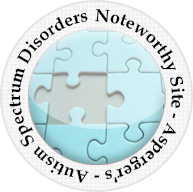 On this blog site you will not see any of the commercial advertising that is featured on larger, better known, autism/neurodiversity blogs such as Autism Vox and About.com:Autism. I choose to comment on autism free of the need to keep up visitor totals, Google or Technorati rankings, in order to generate advertising revenue. Such considerations can influence the content of what is posted. Studies of the effectiveness of glutein/casein free diets in treating autism represent positive developments in seeking more treatment options for autism IF those studies remain free of undue influence. And IF the association in the public mind of such diets with Autism Speaks does not give them a free pass to acceptance as effective autism treatments without the evidence. The Hon. 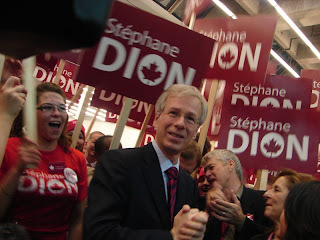 Stéphane Dion, P.C., M.P. It has now been almost one full year since I emailed you asking whether a Liberal government led by Stéphane Dion would act promptly to include autism treatment in Canada's national health care scheme. To my great disappointment I received no reply. In almost 10 years of autism advocacy in New Brunswick and Canada you are the only politician or public decision maker who has not replied at all. I assume the fault lies with me, perhaps that I failed to observe some protocol with which I am unfamiliar, in posing my question to you. I apologize for whatever shortcoming I may have exhibited and ask you again, with respect, will a Liberal government led by you act promptly to include autism treatment in medicare? In the year since I first posed this question a frustrated father of a 15 year old autistic son, Stefan Marinoiu, of Toronto, has twice put his life on the line to draw attention to the need for treatment for all Canadians with autism. Children like his son Simon are literally going without the proven treatment that could help so many. Stefan walked for 11 days in mid-winter cold and blizzards to meet with Health Minister Tony Clement. More recently Stefan endured a 2 week hunger strike outside the Ontario legislature to impress again upon political leaders the need to take action to help autistic people in Canada. Federal financing could eliminate waiting lists for autism treatment in this country. That is a big part of the message Stefan Marinoiu has delivered in cold and hunger. The Liberal Party of Canada could well form the next government of this great country. I ask you again sir, and with great respect, will you as Prime Minister act to include autism treatment in medicare to help the 1 in 150 Canadians and their family members who are struggling with the realities of autism disorders? Parents across Canada have made their positions known asking, advocating, begging if necessary, to get their autistic children the treatment they need. Stefan Marinoiu has made his position known. He has twice risked his life to make it known that Canadians must act on behalf of autistic Canadians. Will you, the Honorable Stephane Dion, please make your position known? To: "The Hon. Stéphane Dion"
I am the father of two sons one of whom has classic Autism Disorder, with profound developmental delays, and I have been an autism advocate for the last eight years. This year I watched hopefully, but with no illusions, as Liberal MP Shawn Murphy of Charlottetown introduced Bill C-304, a Private Member’s bill, which would called for amendment of the Canada Health Act to provide coverage for autism treatments. As expected, Bill C-304 was defeated by the governing Conservative Party and its partner, the Bloc Québécois. The Liberal Party and the New Democratic Party both voted, by and large, in support of Bill C-304. You personally cast a vote in support of the Bill. Autism is a serious neurological disorder which affects 1 in 150 Canadians, including 1 in 94 male Canadians. Persons with an autism disorder can display a wide range of deficits including intellectual, communication, behavioural and social deficits. While no known cure exists, a treatment which has been empirically demonstrated in hundreds of studies to decrease the negative autism deficits, and in some cases virtually eliminate, these deficits exists. Applied Behaviour Analysis (ABA) has been demonstrated to improve the abilities in all these areas and improve the quality of life of autistic persons in hundreds of studies. Effective, early and intensive intervention with ABA, in addition to being effective in treating autistic children, has also been shown to save governments very substantial sums of money in provision of government services over the life of an autistic person. Despite these facts, governments in Canada have an atrocious record in dealing with the Autism Crisis which confronts Canada and in helping these very vulnerable people. In British Columbia and Ontario governing parties reversed election campaign promises to provide medicare coverage for autism choosing instead to spend hundreds of thousands of tax payer dollars to fight in court the parents of autistic children they had pledged to help. Mr. Dion I hope that you will not follow these shameful precedents, I hope you will not forget your vote in support of Bill C-304. Mr. Dion, will you tell me, and other parents and caregivers of autistic children and persons, if the Liberal Party of Canada will, once elected, introduce legislation in the first year of your taking office as Prime Minister, to include autism treatment in medicare for all Canadians with autism regardless of residence and regardless of income? 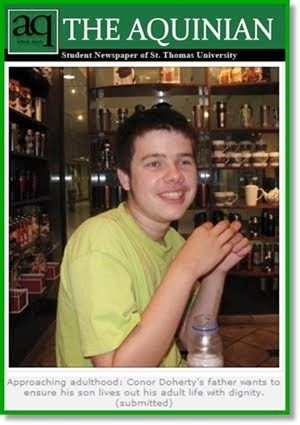 Autism hunger striker Stefan Marinoiu ended his two week hunger strike yesterday. 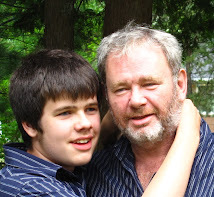 Stefan's efforts brought much attention to the cause of autistic persons and their families in Canada and impressed upon public decision makers in Ottawa and Toronto the seriousness of the Autism Crisis in Ontario and Canada. It is a relief to me, and I am sure to his family and many friends and admirers, that Stefan has decided to end this stage of his autism advocacy and move ahead with other efforts. The determination that Stefan has demonstrated with his 11 day mid-winter Autism Trek from Toronto to Ottawa and his two week Autism Hunger Strike will come in handy in the continuing effort to obtain proper autism treatment, education and residential care in Ontario and elsewhere in Canada. Professor Eric Hollander, chairman of psychiatry at the Mount Sinai School of Medicine in New York, is recommending that more doctors in the UK consider prescribing drugs known as SSRI's, selective serotonin reuptake inhibitors, including fluoxetine, or Prozac, for autistic children as part of an overall treatment program. The SSRIs are aimed at reducing anxiety and disruptive behaviors. The article Autistic children 'should be given Prozac to control their symptoms at Checkbiotech.org appears to reference Dr. Hollander as stating that 37% of children in the US are currently taking SSRIs; many more than in the UK. Dr. Hollander claims that clinical trials with autistic children at low doses have shown improvements such as "fewer "endless ritual" behaviours, less anxiety and better social interaction" Recruitment of children for a "phase three" clinical trial is currently under way. With respect to potential conflicts of interest the Checkbiotech article notes that in 2006, Neuropharm acquired the rights to develop fluoxetine for use in autism from the Mount SinaiSchool and that Professor Hollander is a consultant to the company. I am not opposed to the use of medications in treating autism or symptoms of autism although we have never resorted to their use for Conor. I do believe that considerable care and caution must be exercised before their use. There is little discussion in the Checkbiotech article of possible negative effects of Prozac and other SSRI's on autistic children. The popular media and internet are full of articles alleging serious harmful side effects of Prozac. As a matter of intuition, and based on my son's own sensitivity to various environmental elements, I suspect that autistic children may be more vulnerable to any side effects that may be presented by Prozac and other SSRI use. I also find it a little curious that a consultant for the company developing Prozac for use with autistic children is recommending greater use of Prozac for autistic children in the UK. This push is being made before completion of clinical trials. It is being pushed before assessment of the trial results by independent objective experts. How does Professor Hollander know that such products are effective and safe for autistic children before the studies are complete? ABC News has an interesting online feature The Answers to Autism May Be Inside the Mind in which neurologist Dr. Fernando Miranda argues that neurologists should be more involved in the diagnosis and treatment of autism disorders. The feature includes parent input, including an interview with Sarah Kavanaugh, whose son had been diagnosed with an autism disorder but who sought Dr. Miranda's assistance. An MRI disclosed that Beckett's corpus colusum, "the brain freeway that connects the two hemispheres, was a bit thin. That is crucial in any sort of diagnosis because it can affect language." An EEG indicated signs of seizures which were not necessarily visible to observers. After more tests and a sleep EEG it was determined that her son did not in fact have an autism disorder. He " has a version of Landau Kleffner syndrome, a brain seizure disorder that can masquerade as autism." Since that diagnosis Kavanaugh's son has benefited substantially from anti-seizure medication. 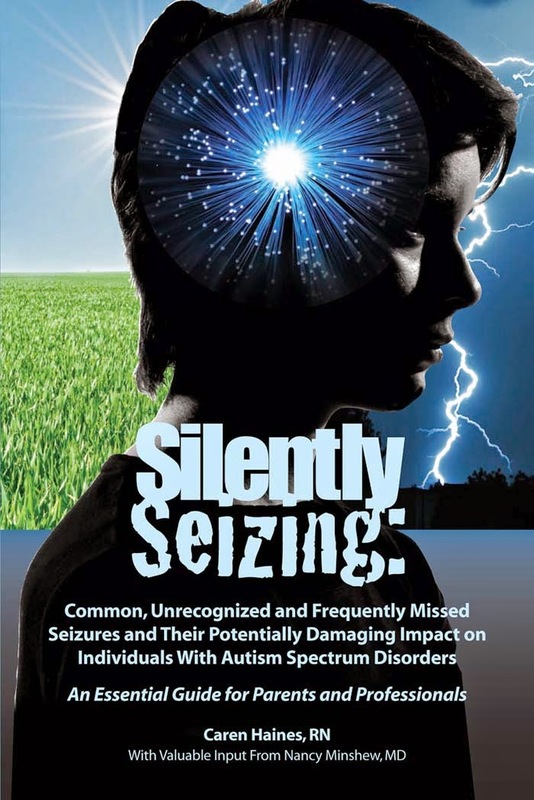 The ABC feature also points out that it is not clear that all children would benefit from anti-seizure medication or that anti-seizure medication is always appropriate in cases where there are indications of limited seizure activity. Research is not currently advanced enough to indicate which children with seizure like symptoms might benefit from such medication. The drugs, in the view of some doctors, can be harmful. There is a risk that such medications could become over prescribed as some feel has happened with ADHD medications. The children featured in this article benefited from the intervention of neurologists and ABC has done a service to children with autism and autism like conditions by highlighting that fact. The Grand Rapids Press reports that a 9 year old autistic Michigan girl who doesn't speak was found Thursday May 15 on the front porch of a residence following a two-hour search by officers and neighbors and reunited with her parents. The girl was reunited with her parents, who called authorities about five minutes after she slipped out of their house. The "autism is beautiful, autism is a culture" ideologues of the Neurodiversity cult don't say much when autistic children go missing or otherwise place themselves in harm's way. Of course common sense and extremist ideology rarely go hand in hand. 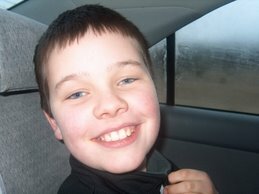 And it is hard to blather about the "joy of autism" when an autistic child who can not speak has gone missing. Thankfully this story had a happy ending and the girl is safe at home with her parents. In 1998, a University of New Brunswick (UNB) professor and the autism community in the province lobbied the provincial government to fund intervention treatment for pre-school children. Today, the families of autistic children receive multi-partnered, systematized intervention services. The College of Extended Learning (CEL) at UNB is a pivotal partner in this endeavour, providing bilingual training and practicums, as well as holding together the many critical pieces of the complex service delivery. This session will examine the critical pieces that need to be paid attention to in the development and delivery of a multi-partnered, community-based training program and how the CEL has put mechanisms in place to anticipate problems and how these mechanisms are used to respond to multiple unique agendas. The UNB professor referenced in the above excerpt is Professor Emeritus (Psychology) and Clinical Psychologist Paul McDonnell. Paul was honored by the Autism Society of New Brunswick in 2006 for his contributions to autism in New Brunswick. 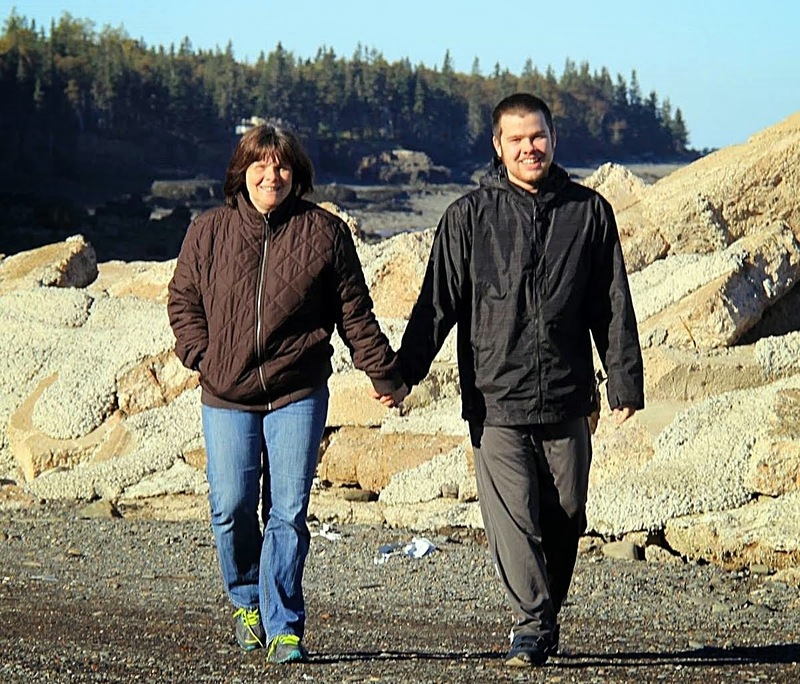 He is the only person who has been so honored and it is impossible to overstate his role in improving the lives of autistic persons in New Brunswick. He has worked directly with autistic children, educated parents, professionals and public decision makers. Paul has guided the autism community and autism advocates toward effective evidence based interventions for autism and has provided many of the cornerstone elements of the New Brunswick Autism Service Model. In the excerpt it also states that "the College of Extended Learning (CEL) at UNB is a pivotal partner in this endeavour". I agree completely with that statement. Anne Higgins and Sheila Burt, working with Paul, Barb D'Entremont and Amanda Morgan from UNB have put together the UNB-CEL Autism Intervention Training Program which now provides training to persons working with autistic preschoolers and in New Brunswick schools. The UNB-CEL AIT program is marked by its quality and integrity and ensures that autistic children in New Brunswick receive quality effective evidence based intervention and education. The New Brunswick Autism Service Delivery Model is one of 4 models that will be presented at the #72 International Symposium of the Association for Behavior Analysis International 34th Annual Convention in Chicago, Illinois from May 23-27, 2008 at the Hilton Chicago. As a parent who saw the establishment and growth of the pre-school autism intervention program here in New Brunswick I am very appreciative of the efforts of Paul McDonnell, Barb D'Entremont, and Amanda Morgan of the University of New Brunswick and Sheila Bulmer of he Province of New Brunswick for what has been accomplished in providing pre-school autism intervention services in New Brunswick. Such services would not be possible without a training program of quality and integrity for service providers such as that provided by Anne Higgins and Sheila Burt at the UNB-CEL Autism Intervention Training Program. I thank you all and the other dedicated people at UNB, and with the Province of New Brunswick, who have given New Brunswick's autistic children access to effective evidence based autism treatment. The applied behavior analysis of Intensive Early Intervention for children with autism is conducted at many different levels of resolution. All levels of ABA are necessary to effectively manage the best possible outcomes for the greatest number of children. In order to build a sustainable program, numerous issues in accountability and management must be addressed. This symposium will present the results of four different organized systems for delivering and managing treatment efficacy. The management procedures of the organizations will include the molecular levels of ABA (single-subject analyses of all facets of treatment; component and package analyses of all facets of treatment; analysis of maintenance of treatment effects; analysis of the limits of generality of the treatment); the intermediate analysis of staff training, parent training, consumer responsiveness, and the organizational management necessary to sustain the treatment; and long-term traditional epidemiological analyses of consumer validity, cost-effectiveness and social validity to provide overall guidance to organizational design. Cultural and language issues will also be addressed. Current results of these organized systems will be presented. Abstract: The St. Amant ABA Program Preschool Services has operated since September 2002, serving 58 children in a home-based model (36 weekly hours, one-to-one, 3 years) funded by the Province of Manitoba to eligible children (diagnosis of Autism, Autism Spectrum Disorder, Asperger’s Syndrome, and PDD-NOS, under 5-years-old at intake, resident of Manitoba). Transition to group settings with program staff is planned based on client characteristics and school entry approach. The Program adopted the ABLLS® as a curriculum guide and evaluates group outcomes yearly (normative and criterion assessments of development, language, cognitive, adaptive skills and challenging behaviors, discrimination abilities, autism characteristics, and ABLLS skill acquisition.) Treatment is based on ABA principles and procedures with emphasis on discrete- trials teaching, is designed and supervised by ABA consultants (caseloads of 8) with graduate training in behavior analysis. Procedures are individualized, based on a standard package for skill acquisition and functional assessment and communication training for behavior problem reduction. Senior yutors (caseload of 4 clients) assist in training and supervision of tutors (caseloads of 2 clients) and parents, data collection (trial-by-trial) and summary. Overall supervision is provided by BCBA and licensed psychologist. Abstract: One of the challenges in replicating Lovaas’ 1987 outcome study is to translate the methods and evaluation procedures into other languages. This presentation will describe the organization and results of a privately-funded clinical intervention program in Catalonia, Spain, where there are actually two very different languages in predominance. This organization has been in the process of development for 14 years, and has met several challenges required to translate social and language norms, methods, and measurements into these other languages and cultures. In addition, the need for developing a comprehensive organization, in the face of little to no formal funding have also been addressed. Critical demands for treatment integrity will be reviewed, as well as systems that are being developed to meet these demands. The overall organizational design will be presented, as well as direct clinical data on short-term gains made by children in the program. The presentation will conclude with a focus on the directions of further development. Abstract: This presentation describes the establishment of a preschool intervention in a largely rural Canadian province. When the initiative first began, there were virtually no services and no trained therapists or Clinical Supervisors anywhere within the province. After four years, there are now more than 300 trained therapists working throughout the province. The process of how supervisors and therapists were trained and how services were delivered on a province-wide basis is discussed. 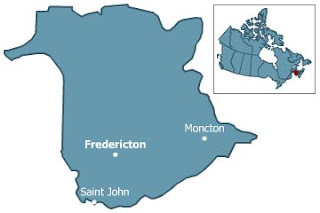 Special challenges included delivery of services in New Brunswick’s two official languages (French and English), delivery of services to First Nations children, and delivery of services to rural settings. Furthermore, a sample of outcomes from our first year of the province wide intervention is described. These data allow for the comparison of children in day care settings receiving eclectic programs with children in intensive behavior intervention. Finally, current initiatives to extend intervention services to school-aged children are examined. Abstract: The need for responsible accountability to consumer and stakeholder interests is paramount in the design of a sustainable intensive early intervention effort. This presentation will report the results of 13 years of effort in designing a comprehensive clinical management system for intensive early intervention. Given the authors’ direct participation in long-term early intervention research over a period of 25 years, the presentation will review the major challenges to treatment integrity and the management and evaluation systems put in place to address these challenges. The critical needs for organizational management and the methods and results of the organizational system across 238 children will be presented. The presentation will summarize the integration of single-subject analyses of the treatment of individual children, with the clinical system, which is designed to ensure the highest rate of best outcomes. The comprehensive clinical management system will be presented as it is designed to assure both consumers and stakeholders that the optimum services are being delivered to each child, and that the organizational capacity is being developed to increase the number of children who are effectively served. The current results will be described as will recommendations for standard accountability procedures for early intervention. Today is Bloggers Unite for Human Rights Day, May 15, 2008. 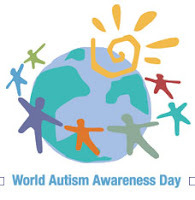 The United Nations recently declared and celebrated April 2, 2008 as the first World Autism Awareness Day. The celebration of the event brought an inundation of media and other attention to autism and autism issues. Hopefully this historic development will lead to the recognition of the human rights of autistic persons like my son Conor, pictured above, top center, who has Autistic Disorder with profound developmental delays. In Canada, unfortunately, much remains to be done before human rights for autistic persons, as reflected in some leading United Nations Declarations, will be recognized. In fact, progress toward such a goal took a huge step back with the Auton decision of the Supreme Court of Canada which essentially subordinated the rights of autistic persons to appropriate medical treatment to the policy making role of elected legislatures. Although Auton effectively removed the courts as protectors of the Human Rights of Autistic persons it did not preclude political action to reach those goals. Canada has had a strong autism advocacy movement led by parents of autistic children seeking full lives for their children and gains have been made from Newfoundland to British Columbia by parent led autism activism. Much remains to be done though and the continuing hunger strike, now on day 11, of one father, Stefan Marinoiu, pictured in the bottom photo, outside the Ontario legislature in Toronto, highlights the desperation of families whose autistic children lose precious development time languishing on long waiting lists for appropriate medical treatment and for autism specific education in Ontario schools. The above recommendations appear to support Dr. Healy's statements that the IOM expressly discouraged research and investigation of a possible vaccine/thimerosal link to autism and that the IOM report authors did so because of fear of vaccination rejection by the general population. As the above quote indicates the recommendation was based on epidemiological studies. In Facility is changing world for autistic children Lucretia Fernandez of the The Courier of Montgomery County, Texas tells the story ofAbby who, as a three year old was diagnosed with autism. Abby had difficulty sitting at a table to color a picture, participating in preschool or daycare activities. After being diagnosed with autism her parents immediately sought help for Abby and enrolled her at the Shape of Behavior. An individual ABA program was designed for ABA and within two weeks she was sitting at the table. After six months of intervention Abby was able to go to preschool where she has completed her first month. Abby's parents sought help immediately upon learning of their child's diagnosis. The help they obtained, ABA treatment, has been thoroughly studied for decades and shown to provide real and lasting gains for autistic children. Parents of newly diagnosed autistic children would do well to follow a similar path, and take action to help their children learn, develop and live life as fully as possible. "When you were warm at home, eating supper last night, he was alone, at Queen's Park, shivering in the pouring rain"
- Paul Bliss, CTV News, reporting on Day 4 of Stephan Marinoiu's Hunger Strike for Autism. 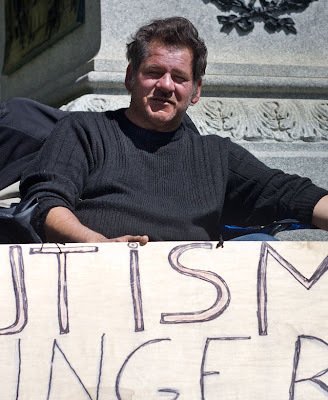 Canadian Press has reported on the Autism Hunger Strike being carried on by Stefan Marinoiu outside Queen's Park in Toronto. Stefan has done an incredible job, once again, in bringing public attention to the needs of autistic children in Ontario. He has a press conference scheduled for tomorrow morning. People should get out and support Stefan tomorrow. I don't know if my advice will be heeded but I hope Stefan has a time line in mind to bring this Hunger Strike to an end. 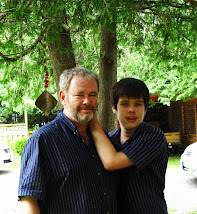 Autistic children in Canada need a strong advocate like Stefan but they need him, more than his memory, to help them. CP : TORONTO — A Toronto man who has been on a hunger strike for over a week is demanding the province eliminate the backlog of autistic children waiting for a crucial but costly therapy. Stefan Marinoiu, 49, will call on the government Tuesday to move more quickly to provide treatment for children with autism, including his teenage son. He wants to see the wait list of more than 1,100 autistic children who are eligible to receive intensive behavioural intervention therapy, or IBI, eliminated by November. Marinoiu also wants the province to commit to providing the treatment in schools no later than September next year. Education Minister Kathleen Wynne says thousands of people have already been trained to provide another kind of therapy, called applied behavioural analysis, in schools. She says some schools have therapists to provide the more intensive IBI therapy, but not in regular classrooms. Studies have demonstrated that intensive early intervention using the principles and methods of applied behavior analysis (ABA) can produce substantial benefits for many children with autism/PDD (Anderson et al., 1987; Birnbrauer & Leach, 1993; Fenske et al., 1985; Lovaas, 1987; McEachin, Smith, & Lovaas, 1993). Although there were some variations in procedures across studies, the interventions generally met the five criteria listed as essential by Guralnick (1998) and Ramey and Ramey (1998). were directed and supervised by individuals with postgraduate training in behavior analysis plus extensive hands-on experience in providing ABA intervention to young children with autism." Mrs. Julia Munro : "This morning, just in front of Queen's Park, I met with Stefan Marinoiu. Since Sunday, he has been on a hunger strike demanding that this government take action on autism. Stefan is out in front of this building because he has an autistic son and he wants his son to receive the treatment he needs." "Yesterday, to her credit, the Minister of Children and Youth Services came out and met with Stefan. Now it is up to her to talk to the Premier and the Minister of Finance and find the money to meet the needs of autistic children like Stefan's son." "I asked Mr. Marinoiu twice to give up his hunger strike, but both times he said no. It is not good for his health, but he is out there today because of his love for his son and because the government will not help him." "No one would go on a hunger strike unless they were desperate. Families whose autistic children have been left to linger on waiting lists are desperate. They need your help, and it is time for you to do something." 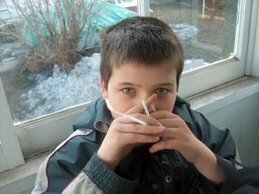 Today is May 11, 2008 and Stefan Marinoiu is continuing the Autism Hunger Strike that he began on May 5 outside Queen's Park in Toronto. If the decision was mine to make I would end Stefan's hunger strike now. With his existing diabetes condition Stefan's health is at serious risk. But the decision is not mine to make. The decision is Stefan's and he showed during his 11 day Autism Winter Trek that he is a very gutsy and determined individual. I spoke with Stefan very briefly by cell phone yesterday. I expressed my admiration for what he is doing but I also asked him if he would consider setting an end date for his hunger strike. Stefan answered that he would end his strike when something is done to help autistic people. 3) A federal commitment to national guidelines and financing for autism treatment and an autism agency within the federal health care system. These are not impossible goals. As Jean Lewis of FEAT-BC and Medicare for Autism NOW! said about amending Canada's national Health Care Act to include autism treatment - all it takes is political will. The first two goals on Stefan's list have been implemented, or begun to be implemented already in New Brunswick. Training is critical. New Brunswick has been training autism support workers, clinical supervisors, teacher assistants and resource teachers for several years at the University of New Brunswick College of Extended Learning Autism Intervention Training program. Preschool autism treatment is provided through authorized agencies monitored by government. Trained teacher assistants have begun providing ABA in New Brunswick schools. 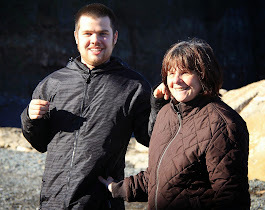 My son Conor has been receiving ABA based instruction by a UNB-CEL Autism trained TA with plans and supervision by resource teachers and mentors trained at UNB-CEL for the past 4 years. 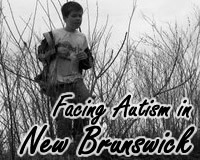 If New Brunswick can make substantial progress towards helping autistic children why can't Ontario? The drive for a National Autism Strategy has also been underway for several years. Two members' motions have received substantial support from Members of Parliament. But a commitment by a governing party is required to get Canada to face up to its responsibilities toward autistic people and provide financing to the provinces for autism treatment. The Conservative government of Stephen Harper will never make that step. That is clear from everything ever written by Harper and it will not change. The NDP has provided great support in the person of MP Peter Stoffer and others but have never come close to taking power federally in Canada. Only the Liberal Party can form the government and despite the very considerable support of Liberal MP's and Liberal Senator Jim Munson the Liberal Party has still not committed to implementing amendments to include autism treatment in Canada's national health care legislation. Hopefully political leaders in Ontario, Ottawa and elsewhere in Canada will find the will to help autistic children and adults in Canada. If they are not sure what "willpower" looks like they might watch Stefan Marinoiu outside Queen's Park in Toronto. In the meantime I hope Stefan takes care of himself and those who are with him help him keep a close eye on his health. Autism Causation - Back to Bettelheim?